Many are really finding it very hard sharing their PC's data, if you're in that situation then this post will surly do you good. If you are looking for a way to share your PC's data connection via hotspot then connectify is the right app for you. Connectify is a vurtual router that lets you share your pc's data connection to any device via hotspot. It even has an ad blocker feature that blocks ads from devices connected to your hotspot. Meanwhile, for setting up a wireless connection you need a router but that can be done with a software which is especially designed for setting up wireless connections called Connectify. With this application you don’t need any hardware setup for establishing connection. The software turns your wireless capable computer into virtual router. It has a WiFi repeater mode that let's you Extend the range of your existing Wi-Fi network(it let's you turn on hotspot when connected to a WiFi network allowing you to share the data of the WiFi you are connected to via hotspot again thereby extending the maximum users and range if the WiFi). You download it from this link Download Connectify here. With the above tutorial you can now share your PC's internet connection via hotspot. Many are really finding it very hard sharing their PC's data, if you're in that situation then this post will surly do you good. 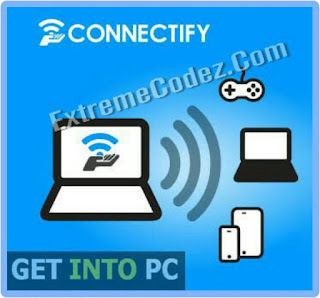 If you are looking for a way to share your PC's data connection via hotspot then connectify is the right app for you. Hello, just want to inform you that it is possible for you to use your laptop as a router without the use of connectify. Research on it.